Characteristics: Mini bead board with tools. Design on the go with this great travel companion! 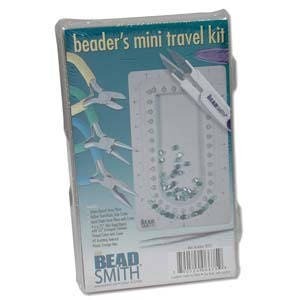 Additional Information: This kit includes 1 Mini Bead Board Tray. 1 round Nose Pliers. 1 Semi Flush Side Cutter. 1 Chain Nose Pliers with Cutter. Thread cutter with Cover. #5 Knotting Tweezers. And Storage Box.